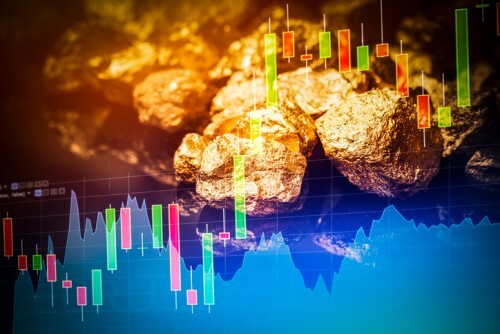 Gold hasn’t been getting much positive attention in recent years, but according to global investment firm Goldman Sachs, that could be changing soon. In a recent paper, the firm predicted that growth in the US economy will start to slow, prompting investors to diversify their portfolios. With that, it said, comes an increased focus on gold, and a situation for a possible increase in its price, reported Investing News. The firm added that the traditional safe-haven appeal of long-term bonds may be hurt by an upside surprise in US inflation, which would add to the appeal of gold. Aside from that, it said, is the fact that the gold market is underpinned by central bank demand for the metal, with some central banks buying gold for the first time since 2012. As for the trend of sell-offs in the market, the firm brushed it off, saying that the current environment for commodities is unsustainable. Forecasting a decline in the greenback’s strong 2018 rally, Goldman said a window will open for gold to rebound. “Given the size of dislocations in commodity pricing relative to fundamentals — with oil now having joined metals in pricing below cost support — we believe commodities offer an extremely attractive entry point for longs in oil, gold and base,” analysts at the firm said. The report also predicted that the gathering of G-20 leaders in Argentina this week will provide a venue to address many of the issues that have weighed on commodities, including whispers of crude oversupply, concerns over a US-China trade war, and slowing growth. With that, Goldman said, commodities could surge close to 17% over the coming months. Aside from gold, the firm revealed a conviction that palladium is outperforming platinum. It cited a supply deficit in palladium that originated from the end of Russian stockpile sales in 2012-13, which is in contrast to a surplus in platinum as platinum-intensive diesel cars lose market share and Chinese demand for jewelry weakens.